At long last, the new Monster Makers Website has launched! It’s has been a long time coming, but the day has finally arrived and we are pleased to get our store up and running. Users will find an overall cleaner look to the site, along with easier navigation and a seamless checkout experience. Along with the new site we are really excited to launch many new products while our international and Domestic distributors continue to grow. 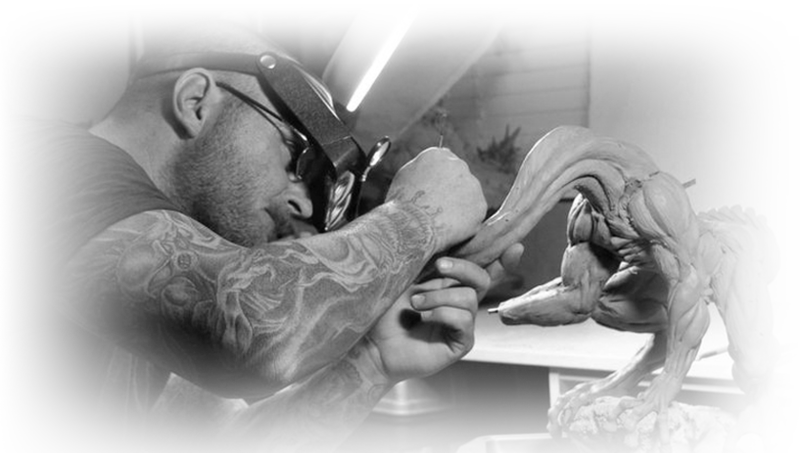 We are also pleased that Monster Clay is in great demand and continues to be one of the worlds most popular sculpting clay choices. For those of you that are new to Monster Clay, there are now three, premium grades to choose from including Hard, Medium and Soft. Those of you that purchased Monster Clay before the new grades were introduced in October of 2015, your old premium grade is now referred to as the Medium Grade. In addition to the new grades of Monster Clay, be sure to check out our new, premium grade alginate impression line called Monster Gel. We have both a Prosthetic Grade for body and face mold applications and a fast set Dental Grade. Both products are formulated and produced in house to be easy to mix and ultra smooth for replicating even the finest details. As well being dust free, both grades are also completely silica free, food grade, safe for skin contact and offer great tear resistance, In, order to achieve these features, extensive testing was conducted to determine only the safest materials to use in these compounds. As with all of Monster Makers Brand materials, great care has been taken to create a unique and feature filled product that offers exceptional value and affordable price for our customers. Monster Gel will launch concurrent with our new website. We’d like to thank the following folks for their generosity in sharing their amazing artistry on the new site: Casey Love, Aris Kolokontes, Chris Hanson and Anthony Watkins. Please let us know what you think of the new site. As with any new launch, there are sure to be a few bugs to sort out, so feel free to offer any feedback. This entry was posted in Uncategorized on May 20, 2017 by Arnold Goldman.